Getting started with any new operating system can be tricky which is why you need to be utterly certain that the move you are making is the right one. A popular alternative to Windows comes in the shape of the various Linux distros, of which Linux Mint is currently the most popular. If you are planning on using Linux Mint to replace Windows, there are several things that you should be aware of in terms of differences between the two platforms. While the designers of the user interface on Mint have made the operating system as easy to use as possible, you should still be aware that there will be some differences. Taking the time to catch up on a few vital facts about Linux – perhaps in a “newbie’s guide" might be a good idea. You should certainly be aware of a few new terms (or jargon) before switching to Linux Mint. Is Linux Mint 5 a True Windows Replacement? If you’re planning to install Linux, choosing the right distribution for your purposes is vital. Although we’re focussing on Linux Mint here, this doesn’t mean that you absolutely have to install that particular distro. There are many to choose from, and being aware of particular strengths and weaknesses will help you to settle on a particular version. However as explained above, Linux Mint is hugely popular so there is every reason for you to choose that particular version. If you’re new to the operating system, a useful beginner’s guide will help you to get your bearings. Linux: Which Distribution Is Best for Me? A Beginners Guide to Linux Mint: What Is Linux Mint? With your decision made and your version of Mint downloaded you will need to prepare your computer to install Mint Linux. One of the reasons that this Linux distro is so popular is its ease of installation, so you should find that it isn’t too difficult. The operating system is also optimized for running from a USB drive, meaning that you can potentially take your computer with you! Different releases of Linux Mint have been made available over the months, with each version assigned a female name such as “Felicia" or “Gloria" or the most recent version, "Katya"
. This is not uncommon in the Linux world; versions of Ubuntu are named after animals. Speaking of Ubuntu, if you were unable to decide between it and Linux Mint you can always take advantage of dual-booting in order to run both operating systems on the same computer from the same hard disk drive. 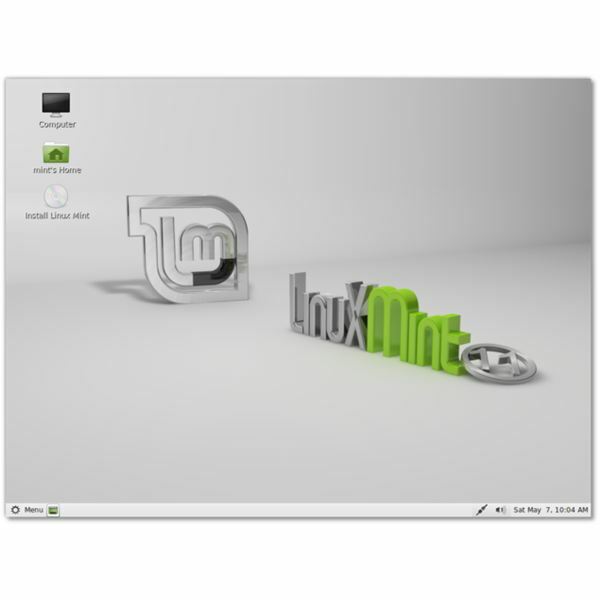 Top Linux Distributions: Linux Mint 6 "Felicia"
The Mint Team Rolls Out "Gloria"
Ubuntu or Mint? Let's Install Both! With your fresh new Linux operating system installed and ready to go, you can begin using Mint. There are various things that you should check before proceeding, however. It’s a good idea to check out a few thoughts about the operating system from other users, for instance, just as it is to be aware of how this Linux distribution fits into the GNOME family (and if you don’t know what GNOME is, you’ll soon find out). When you’re really ready to get started, there is only one thing to do – install software! There are various ways to add new applications and utilities in Linux Mint, so be aware of these before proceeding. Linux Mint – An Elegant Linux Distro? As with any operating system you will need to be aware of how to overcome any difficulties that you experience. Being aware of some of the best Linux troubleshooting tips will probably serve you well when using Linux Mint, allowing you to prevail over even the most frustrating issues. On the other hand, you might just want to change the name of your computer. One other use for Linux Mint (and indeed most distros) is that it can be used to repair a Windows installation using the Live CD feature of the operating system. This is achieved by inserting your Linux Mint installation disc and booting a Windows computer from the disc rather than the installed operating system. You will then be able to repair the Windows registry, recover data from a hard disk drive and other recovery functions!